A Reading Diary very nearly made my Top Ten Books of 2010 list so I was understandably excited to read The Library at Night by Alberto Manguel. And, as expected, I adored it. Manguel is one of those authors I knew very little about a year ago but then when I started blogging it seemed that everyone knew about him, had read his works, and loved him beyond measure. And now I have (very happily) become one of those people. Indeed, I love him even more because first and foremost he identifies himself as Canadian though he’s Argentinean by birth and currently lives in France. I don’t like to read Manguel quickly – even when I consciously slow my reading rate down and take lots of breaks to copy out beautiful passages everything goes too fast. Though, in the case of The Library at Night, the book is much shorter than it first appears with huge margins and many pictures filling up the pages. But each sentence is so beautifully constructed, each thought so worthy of appreciation and reflection that to read without consideration, just to take each new piece of information in and not to let it spark an internal monologue of your own, seems ill-mannered. Manguel makes me want to compose decadent sentences about luxuriating in his sumptuous prose…but I think such a departure from my usual style might alarm readers so I’ll try to restrain myself. In the light, we read the inventions of others; in the darkness, we invent our own stories. The book is divided into fifteen different chapters, each an essay on the different identities of libraries (as Myth, as Power, as Workshop, as Survival, as Imagination, etc). My favourite by far was “The Library as Order” which considers the many different ways a library can be ordered. I never tire of ordering and reordering my books, grouping by theme first, then perhaps nationality, then changing my mind a few weeks later and trying something new and strange but sensible in my own mind (if no one else’s). In fact, this is something that has given me much pleasure over the last few days since my belongings have finally arrived and I have many books to unpack and shelve. Considerable thought has been expended over this and it has been a most delightful pastime. I love Manguel because he understands not just the romance to be found in books but in the act of reading. And that is more than enough for me. I dragged my dad into my ‘study’ (aka the spare bedroom where I am being allowed to work and house my books) to explain to him the deep logic that had gone into the ordering of the volumes. I think he’s a little afraid of me now! I completely loved this, too. (Equally thrilled about identifying himself as Canadian.) Particularly interesting were being able to peek inside the libraries of certain personalities, like Borges. I’ve yet to read A Reading Diary, but that’s been on the top of the wishlist, except I found a copy of this first! The only Manguel I’ve read before this was Stevenson Under the Palm Trees.. I had absolutely no interest in Borges before I started reading Manguel but now I feel like I have to read him, given what an important role he seems to have played in Manguel’s life and literary development. I actually offered this book to my Secret Santa (Amy at Amyreads) without knowing much about it. While browsing it, I decided to get one for myself eventually. Glad to see you liked it as well! Excellent to know that not one but two bloggers still have this to read and enjoy! I love also very much the books of Manguel. 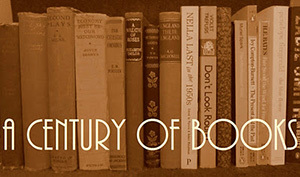 His ” History of Reading” I read always each year one time and again. I’m really looking forward to his History of Reading so I’m glad to hear you enjoyed it! I love that quote you pulled about the changing nature of a discussion under the stars. Isn’t it lovely? And so true! Oh, this sounds lovely! I’ve never read Manguel, but when I do, I think I’ll start with this one. Though I’m pretty sure I’ll end up wanting to copy down far too much! Copy favourite bits out is good, it prolongs the entire reading experience, which can only be a good thing with Manguel. I have loved some of the millions of Manguel quotes I’ve seen all around the book blogosphere over the years, and some have irritated me, and I still haven’t read a whole book by him! Shameful, I know. I need to hop on this bandwagon! Hop on! There’s always room! The other Canadian book blogging claire (over at Kiss a Cloud) has been tantalizing me with all of the great quotes from this book that she’s been posting. I do love reading books about books and the act of reading, so you two are definitely making me drool with book lust over this one! 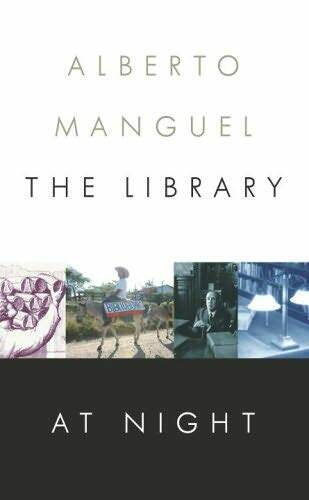 If you love to read about books and reading then Manguel is definitely for you! I LOVED this book too. I need to read more Manguel, especially A History of Reading. Yes, I’m really looking forward to A History of Reading now! I have yet to discover this author – but you make him sound really accessible so I think I will give him a try! I was surprised (and delighted) by how accessible he was. I’ll be eager to hear what you think of him!